The Mozambique coastline is an unspoilt and wild destination in Africa offering a wealth of beach and ocean activities. The warm Indian ocean provides the perfect habitat for abundant marine life and the shoreline offers pristine surfing waves for all level of surfer. The Mozambique coast and its archipelagos provide the perfect conditions for a tropical island getaway, while still maintaining that African rustic feel. Ideal for fishing, diving, surfing, snorkelling and swimming, Mozambique is certainly a worthwhile destination. While you’re out in the deep blue, you’ll find that there’s ample marine life to spot while on an ocean safari in Mozambique. Below we’ve listed the most popular marine life to spot along Mozambique’s coast. Both the humpback and southern right whales are found in abundance throughout the warm waters of Mozambique. The whales migrate to the warm open waters of Mozambique to mate and calve and favour the colder waters of the northern regions of the globe to feed. The most popular time of year to spot whales is from June – December, a window of time that gives onlookers an opportunity to whale watch from the shore – or even your lodge. The humpback whales do love to entertain, and can often be seen bolting up out of the water and slapping their hefty bodies back on the surface of the ocean. Its name is derived from the way it contorts its frame when it readies itself for a dive. For the underwater adventurers, try to listen out for the haunting song and sounds of the humpback whales. The southern right whales’ name is derived from ancient times when hunters believed the species to be the “right” whale to hunt because of its blubber and slow-moving ways. 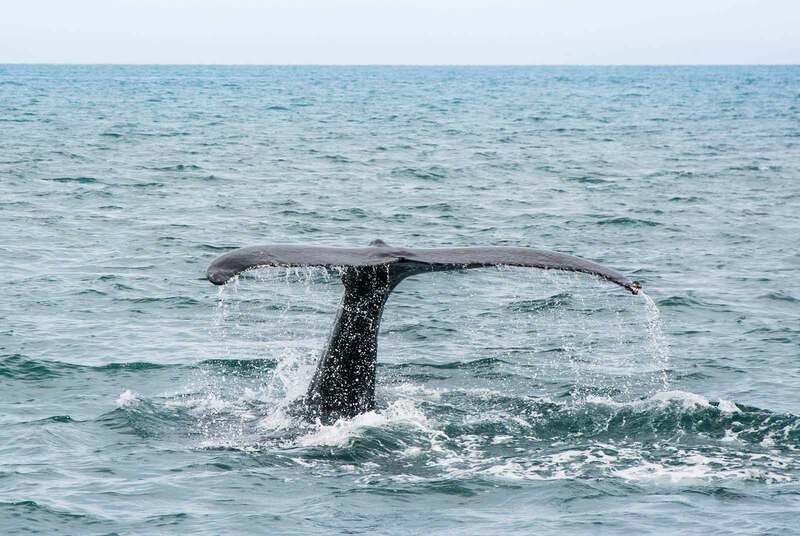 Where to see whales in Mozambique: July – October is the time of year to see humpback whales in the Bazaruto and Quirimbas Archipelagos. October – December in the open waters of Mozambique is the time spot Humpbacks. The southern right whales appear to be more congregated around the southern regions of Mozambique. The dugong is a rare, almost mythical sea creature that looks like a hybrid of an elephant and mermaid. The endangered dugong is not only rare but by nature an excessively shy creature. Dugongs are drawn to areas with forests of seagrasses (northern parts of Mozambique coastline), and they’re actually one of two vegetarian marine mammals. Dugongs certainly aren’t loners and travel in filings of two or more. They feed in the shallows which means they are generally out of the way of marauding deep sea predators. Because dugongs are elusive, little is known about their behaviour and habits. However, we do know that they emit a series of chirps and bark-like sounds. 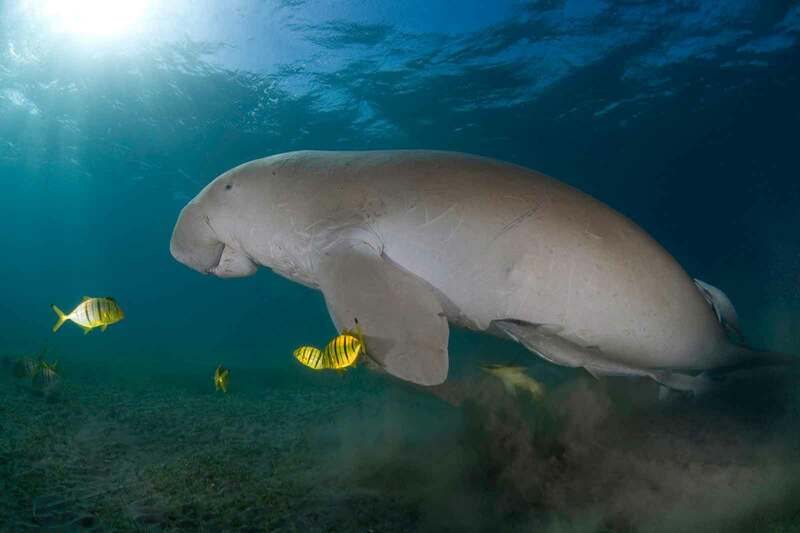 Where to see dugongs in Mozambique: Dugong families are actually regularly seen in the waters around the Bazaruto and Quirimbas Archipelagos region. Manta rays are the graceful gliders of the underwater world, seemingly moving through the depths of the azure ocean with ease. Their size is something to marvel at, and they’ve been known to reach 7 metres in length. These massive sea creatures are actually quite acrobatic and have been known to throw themselves onto passing boats. The rays are seen in massive aggregations in spots called “cleaning stations”, which are areas teeming with “cleaning” fish that feed off the minute parasites covering the manta ray’s body. Manta rays might look similar to stingrays, but they certainly don’t have a shocking sting. Where to see manta rays in Mozambique: Both the giant and reef manta rays are spotted in the southern region of Mozambique and can be spotted throughout the year, but tend to favour the summer months. In Tofo, they are found between Sep – Feb, and Bazaruto between Oct-Apr. 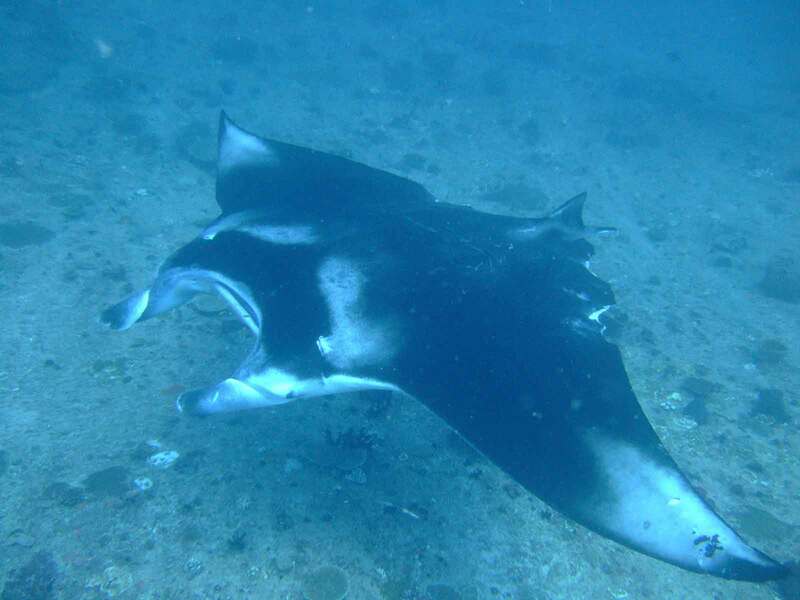 The stretch of coastline is actually a significant manta ray migratory corridor spanning 200 km. Whale sharks are actually the largest living fish on the planet, and they’re quite easily identifiable by their broad mouth, spotted markings and looming presence (they can reach up to 14 metres in length!). Although whale sharks are an endangered species, it is quite common to spot them while snorkelling. They tend to swim quite close to the surface of the sea which means visibility is always great. Don’t be alarmed at their naming convention – this a peace-loving and harmonious species. 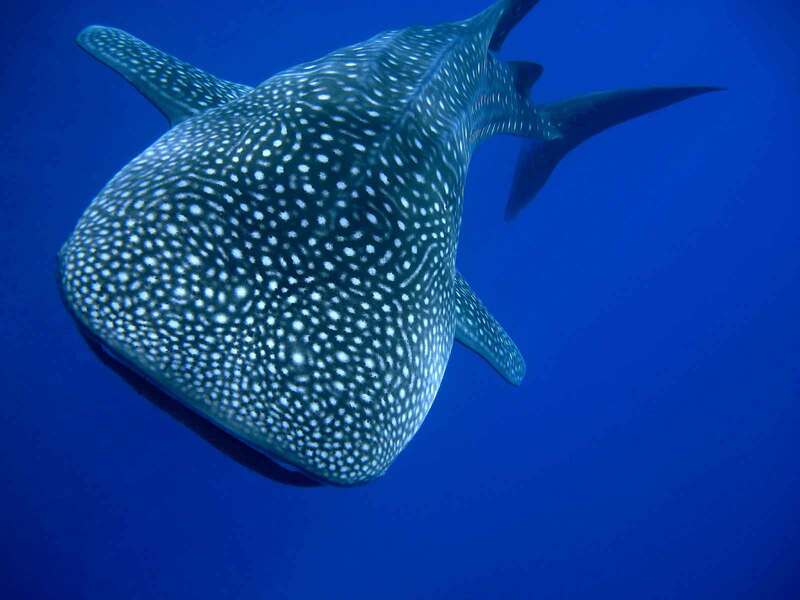 Where to see whale sharks in Mozambique: The major hotspots include Praia do Tofo, Inhambane Coastline and the Bazaruto Archipelago. The whale sharks also tend to congregate more during the summer months. 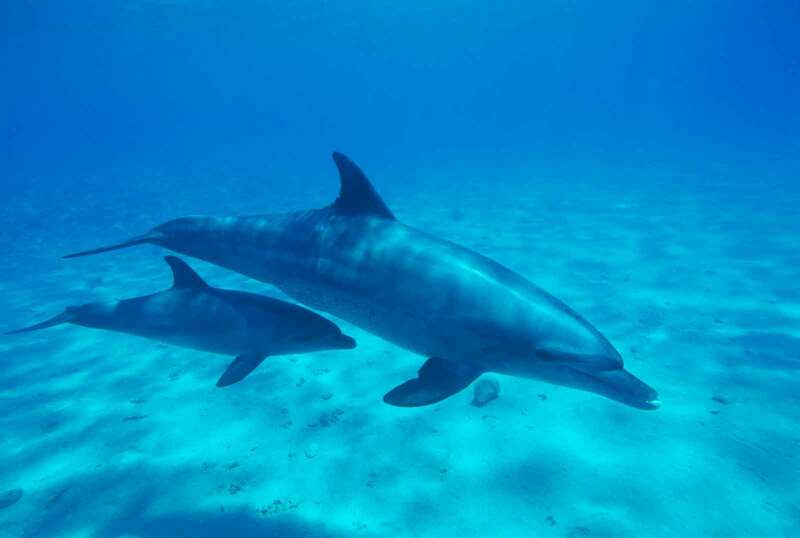 Where to see dolphins in Mozambique: A tourist mecca for seeing these graceful intelligent sea creatures is the Ponta Do Ouro Partial Marine reserve (MPA) in Southern Mozambique. The southern regions provide ample opportunity to swim with wild dolphins. Where to see turtles in Mozambique: The north coast region is where you’ll see green and hawksbill turtles nesting from June – November. 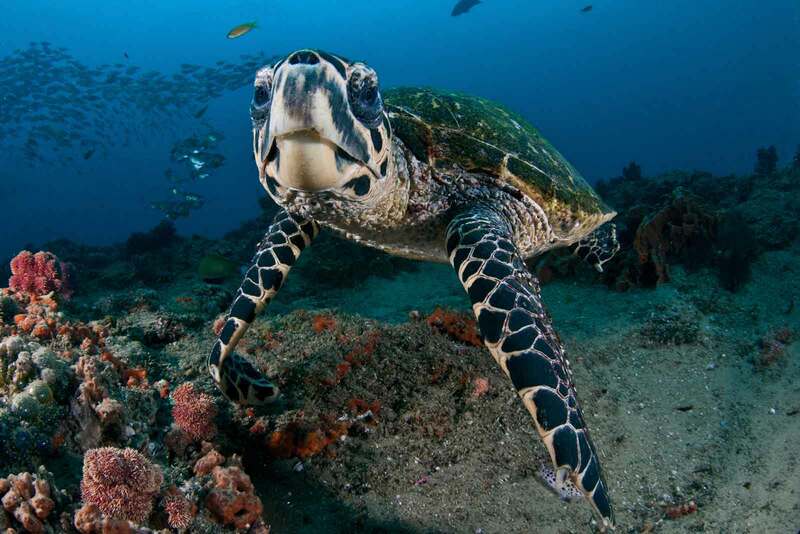 The central regions are frequented by leatherback, loggerhead and green turtles. These same turtles can also be seen around the Ponto area, and the Bazaruto Archipelago sees also sees plenty of nesting happening on the white sandy beaches.